When I start craving a particular food, I wonder if my body is telling me something. 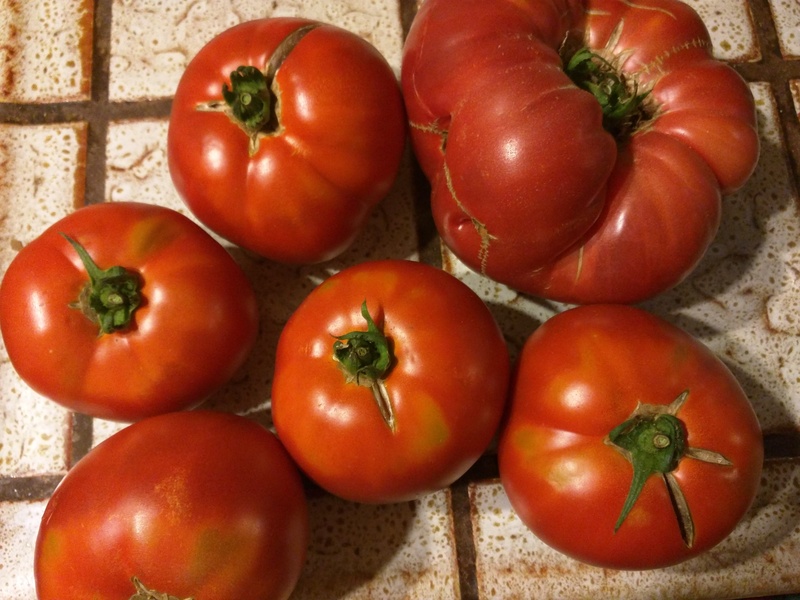 August was primarily a month for tomato eating and perhaps I was in need of some lycopene? I had a patient who gifted me a bag of fresh tomatoes from his garden one day. It might have been one of the best gifts all year. Give me garden fresh flowers and vegetables, and I am essentially yours. Besides making several caprese salads, I also discovered that adding fresh tomatoes into an egg fried rice could be equally delectable. This is a great vegetarian dish, and vegan if one omits the eggs entirely. But I hope not, because fried rice is not fried rice without the egg. You do not need to have meat…but the egg is pretty much a given. Okay…you can argue with me about it. But I am from Hong Kong, and that is pretty much the way we eat. The only way to make proper fried rice is to use leftover white rice. Some people have used brown rice, but it does not absorb the flavors as well. The listed ingredients are rough measurements. It will vary based on individual tastes. This is the basic starter fried rice, and can be changed with other fresh ingredients like cooked meat, bean sprouts, and peas. I don’t recommend leafy veggies, but diced carrots are nice! Instructions – Please read instructions beforehand. 1. Scramble the eggs in a small bowl with the water, and add salt gently for flavor. 2. Make sure you break up the clumps of the leftover rice using your hands, so the grains are separated. Set aside near your skillet. 3. Heat up a skillet to medium high, add some olive oil, and immediately pour in the scrambled eggs. Immediately turn down the flame, and stir the eggs until it looks partially cooked, and still very runny. The eggs should look half raw. Remove the eggs from the pan, and put it back in the bowl you used to scramble the eggs. 4. Clean the skillet, or use another clean skillet. Just make sure it is large enough to actually stir-fry the ingredients. 5. Heat the clean, dry skillet to medium high again, and add a more generous amount of olive oil (if you are afraid of oil, this is the time to man up), and immediately add the ginger and garlic, and the broken up leftover rice, and stir quickly to coat the grains with olive oil. 6. Add salt for taste, and then slowly add dashes of tamari sauce. Try not to over do this. About 3 or 4 teaspoons. Taste the rice, and see if it’s salty enough. Add more as needed. 7. Stir until the rice looks slightly crispy, and is warm. 8. Add the scrambled eggs back in, stir a few seconds to break up the eggs into smaller pieces using your spatula. 9. Add the green onions, and stir again. 10. Add the chopped tomatoes, and stir gently…more like “folding” in the tomatoes. 11. Taste the rice to make sure it is salty enough for you. You can add more salt at this time. 12. Serve and enjoy. This should serve about three people as a side dish, or two hearty eaters as a main with a salad or more veggies.